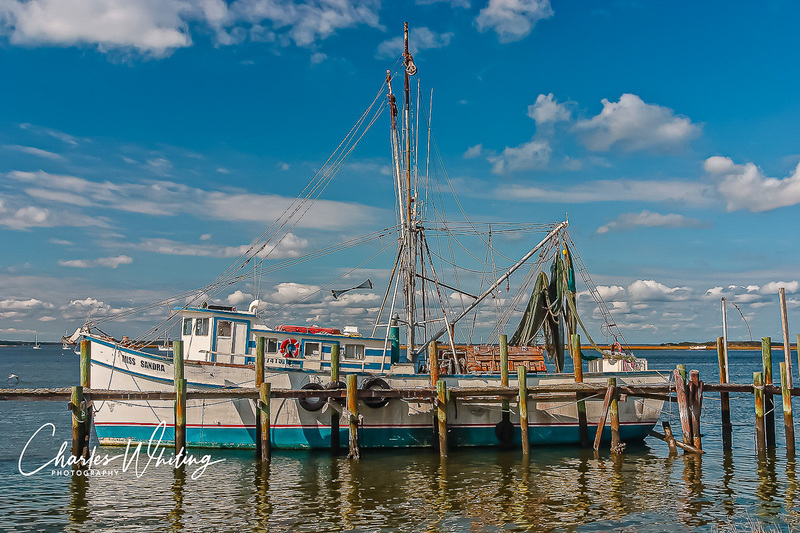 This aging workhorse of a fishing boat is a tangle of masts, cables, booms, nets and lobster traps. Amelia Island, Florida. Photo © copyright by Charles Whiting.